The classic beds by VAMA Divani are characterised by a very elegant and sophisticated design, and they are models that can, thanks to their beautiful appearance, become the main character of your bedroom, both with regard to double models and single ones, as well as to beds presenting an intermediate size. Upholstered in different materials such as leather and fabric, the VAMA Divani classic beds often feature very beautiful hand crafted decorations, such as the buttoned details typical of Chesterfield models, masterfully performed on the headboard with square or diamond-shaped elements. As part of the classical models, there are also the storage beds, convenient solution for those who want to save space in their bedroom. Most of these beds can be customised in any size, and in this e-commerce store, you can also buy mattresses, ensuring quality and a wide range of these products. Rondeau bed in yellow grain leather, featuring a special curved headboard embellished with buttoned details and a stylish buttoned base. A clearly classic bed, but characterised by a lively and strong personality, Rondeau can be easily matched and gives your room elegance and style. Feel free to contact us for more information about other sizes and prices. Stylish and prestigious leather bed with silver foil frame, perfect for those who want to furnish a bedroom with luxury and elegance in mind. The wide headboard is embellished by fine buttoned details, the typical decoration of the old Chesterfield sofa made by our Italian expert craftsmen; its inlaid frame is equally impressive, painted with the "silver foil" technique (also available in "gold foil" and lacquered), and its onion-shaped feet present the same colour. It can be customised in many different ways. The Elisabetta leather bed is also available in the version with storage box included. Prestigious and stylish Baroque bed, a masterpiece of Italian craftsmanship that features a magnificent leather headboard finely embellished with buttoned details and surrounded by a baroque and exclusive frame for its beauty and refined elements. The frame presents a beautiful shade obtained by the technique of "silver foil", and it can also be realised with the technique of "gold foil", or be lacquered. Very impressive model, where modern design and the more traditional style meet, the Sara leather bed presents an original and rounded headboard with a "roller" frame completely embellished by buttoned details. This bed with a strong stylistic personality can be customised in sizes, in colour and shapes, and you can even order it in the latest version with storage box. The leather colour can be changed without any additional charge. Classic bed characterised by a stately, elegant and luxurious style, Lucia is a perfect model for those who love the classic looks. 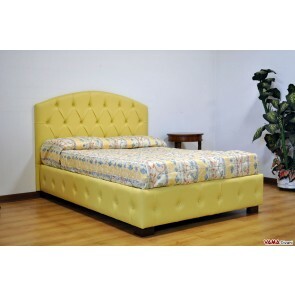 Its wide headboard by the particular shape features beautiful and fine buttoned details, and is decorated with an elegant frame painted with the "aged silver foil" technique. Many small details, such as the slim feet which match with the headboard, help to accentuate the classic style of this bed that can also be chosen in the version with storage box and realised in any custom colour. Feel free to contact us for a quote or for more information about the Chesterfield bed with storage box, any other Storage bed or other available sizes (French, single bed, etc.). It is possible to customise the Chester bed in its every feature, from the colour to the size, from the type of upholstery to its feet, with the storage box or without it, so as the bed will fit in any bedroom to meet all the needs of the customer. 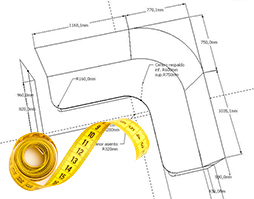 Feel free to contact us for require the prices of the other sizes. Luxury leather bed inspired by the most refined classical art, a model made by our expert Italian craftsmen which stands out for its imposing headboard embellished by buttoned details. Very similar to the Chesterfield bed, the Leichester model, however, presents some details which make it different from the other one, such as the finishing and decorations of its headboard. Customised in many different ways, Leichester is also available with storage box, very useful to optimize space. 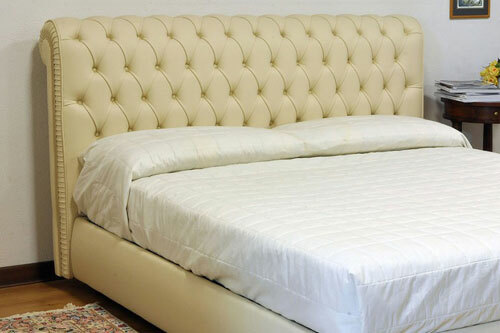 White leather double bed characterised by a very elegant and authentic style, a fine combination of classic and modern looks. Model with storage box included, very useful for those who want to optimise the space, the Aswan bed features a wide leather headboard entirely upholstered with fine buttoned details realised in a very perfect way by our Italian craftsmen. Real masterpiece of craftsmanship in classic style, the Agnese bed is upholstered in velvet, but it can also be realised in other types of fabrics and colours. It presents many fine details, such as its beautiful buttoned headboard characterised by its particular shape, enhanced by a decorative ruffled roller. The Agnese bed is perfect for those looking for a model rich in elegance and style. The bed that you can see in the picture is without storage box and mattress. It is possible to realise it with storage box and it can be customised in any size and feature. Feel free to contact us for a custom quote!